PM Narendra Modi is interacting with farmers across the country and addressing their concerns through the NaMo app. During the interaction, PM Narendra Modi assured farmers that his government is making all efforts to double the income of farmers by 2022. He also listed certain points on how to increase the income of farmers by following certain guildines. In the previous interactions, the Prime Minister had heard beneficiaries of free cooking gas (LPG) scheme, financial inclusion initiative, start-up enterpreneurs, health scheme and Digitial India. Prime Minister Narendra Modi today conducted one to one interactive session with the farmer’s community across India via the video conferencing and stated that schemes rolled out by his government aims at developing the agrarian sector. Notably, this interaction with the farmers was the sixth such interaction, that began one on the eve of Modi government completing 4 years in office. Boasting further about his government, Prime Minister Narendra Modi also stressed that his government has doubled the budget for agriculture to Rs 2.12 lakh crore in order to achieve its objective of increasing farm income by two-folds by 2022. We have faith in the farmers of India, the Prime Minister Narendra Modi said while interacting with farmers from over 600 districts through the app called ‘Narendra Modi App’. 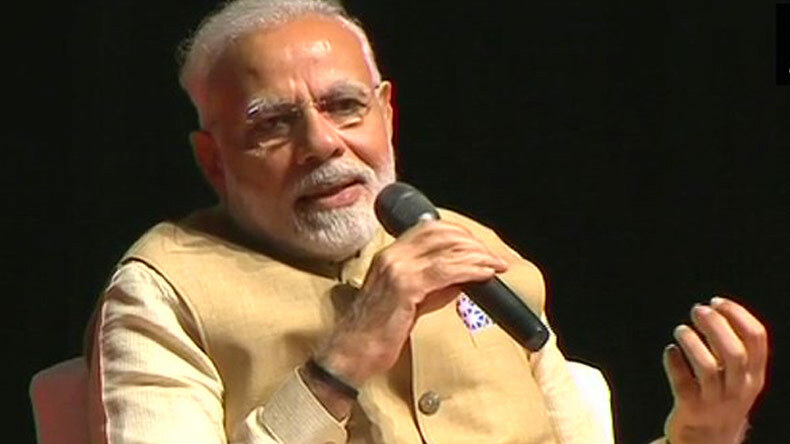 Talking more about the farmer’s crisis, PM Narendra Modi said cutting input cost, fair price for the crop, preventing the produce from rotting and creating alternate sources of income are the 4 key areas for raising farm income. The Prime Minister further said that there is a record growth not only in foodgrain sector but also in milk, fruit and vegetable production.